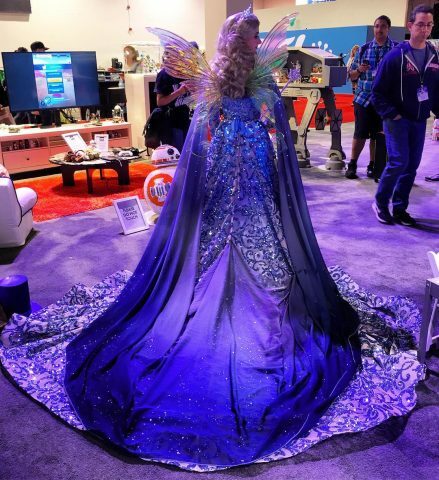 Pinocchio Blue Fairy Costume Made with 1,700 LEDs « Adafruit Industries – Makers, hackers, artists, designers and engineers! Nephi Garcia, a.k.a. Designer Daddy, is a designer and costume maker that makes ensembles for clients as well as his family. The family attended D23 Expo earlier in July in Pinocchio themed garments. Bethanie dressed as the blue fairy. 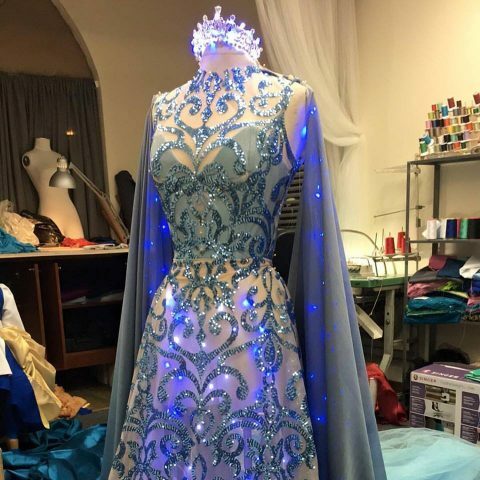 To add a magical, sparkling effect to the stunning dress, Nephi added 1,700 LEDs. The lights feature in the dress, the cape, and the fairy’s tiara. You can see more of the lights on the back of the dress in the below picture, but to see them glow, watch this Instagram video. Keep up with Designer Daddy’s incredible designs by following along on Facebook or Instagram.